In case you missed it over the weekend, Hillary Clinton gave a speech attacking hedge fund managers. "While many of you are working multiple jobs to make ends meet, you see the top 25 hedge fund managers making more than all of America’s kindergarten teachers combined. And, often paying a lower tax rate," she said during the official launch of her 2016 presidential campaign. Being part of the Clinton family has provided Mr. Mezvinsky with another perk: access to wealthy investors with ties to the Clintons. Identifying who put money into Eaglevale, a roughly $400 million fund that has had underwhelming returns for much of its brief history, is difficult because hedge funds do not publicly disclose their investors. Still, the overlap between at least some of Eaglevale’s investors and backers of the Clintons illustrates how politics and finance can intersect and shows the fine line the Clinton family must navigate as their charitable and business endeavors come under scrutiny in an election cycle. 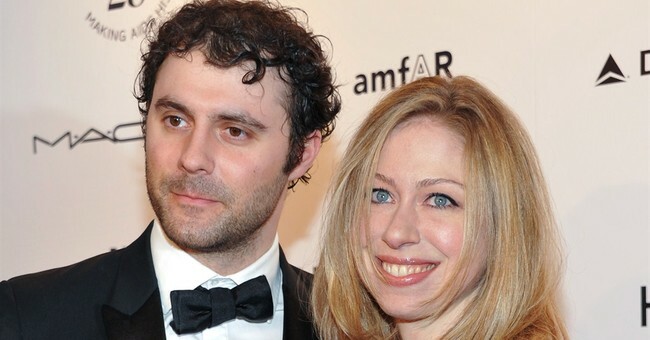 I wonder how many kindergarten teachers could be paid with Mezvinsky's salary. Chelsea and her husband live in a $10.5 million Manhattan penthouse.